Elizabeth Jane “Teddy” Sency, age 76, of Mentor, was welcomed into God’s arms on Wednesday, August 22nd after a 2 ½ year fight with cancer. She died peacefully, surrounded by her family, at Hospice of the Western Reserve. Born January 6th, 1942 in Fairport Harbor, Teddy, (a nickname she received as an infant), was the daughter of Roy and Margaret Clark. 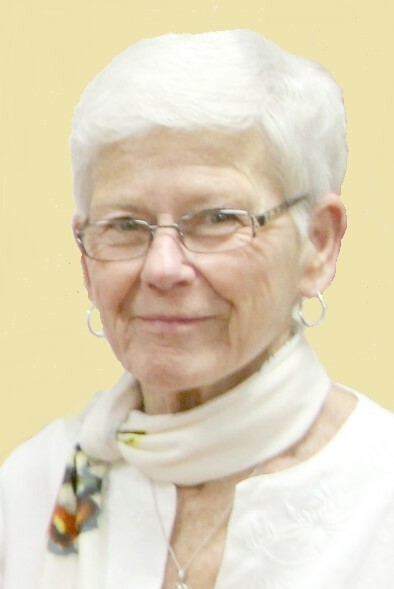 She graduated from Fairport Harding High in 1959 and was employed at Lake East Hospital in Painesville for many years. A woman of strong Catholic faith, Elizabeth was a founding member of St. Cyprian’s Church in Perry. She sought strength in prayer and positive thinking throughout her life and lived each day grateful that God gave her a blessed life and family. She raised four children and helped manage the financial side of Sency’s Nursery in Madison, Ohio, with her husband Carl. She enjoyed spending time with her grandchildren going on vacations and attending various school functions, including art and fashion exhibits, band concerts, baseball, basketball and OSU/Riverside football games. Elizabeth spent her life caring for others and most recently, she devoted herself to living with and caring for, her mother, “Nana”. The two retired to Port Charlotte, Florida for 3 years before they returned to Ohio in 2016 for Elizabeth to begin chemotherapy treatments. She is survived by her mother, Margaret (Mehok) Clark; brother, Roy Clark of Fairport Harbor; sons, Jeff (Rose) Parr of Mentor, and Jay (Cathy) Parr of Woodstock, GA.; daughters, Jen (Tim) Valentine of Painesville Township and Liz (Chris) Adams of Savannah, GA.; step children, Mark, Cindy and Chris Sency; along with nieces and a nephew. Her grandchildren, Lynnie, Ryan, Jeremy, Christina, Drew, Lauren, Brendan, Morgan and Cameron were all fortunate receivers of “Grammys” love and affection. She was preceded in death by her father, Roy Leonard Clark and husband, Carl Sency. A Memorial Mass will be held at 10:30 AM on October 20th at St. Cyprian’s Church, 4223 Middle Ridge Road, Perry, Ohio. Family and friends may call one hour prior to the mass at the church. In lieu of flowers the family suggests donations in her name to Hospice of the Western Reserve or to St. Cyprian’s Church.